Our local team will ensure that all elements of your finances are accounted for while developing a comprehensive plan that protects and grows your money. At Mid Penn Bank, we offer personalized wealth management services for customers in Harrisburg, Lancaster, and across Pennsylvania. If you’d like to save for your future, protect your assets, and work to build a financial legacy, our local and experienced team can help. Investment Management – Our local experts are dedicated to providing customized solutions and delivering results. Brokerage Services – We’ll help you create an investment strategy that’s in line with both your short-term and long-term goals. Financial Planning – Whether you are just starting to build wealth or you are planning for your retirement, our local team will build a relationship with you to provide professional guidance. 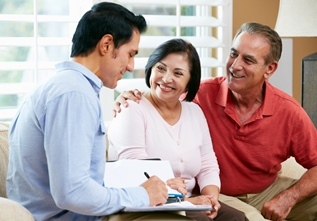 Fiduciary Services – Our fiduciaries are experts at administering trusts, estates, guardianships and agency accounts. Retirement Plan Options – We provide comprehensive retirement plan services to companies throughout Pennsylvania.